Connecticut Governor Dannel P. Malloy was joined by state legislators and puppy mill advocates for the signing of Public Act 14-77: An Act Concerning Certain Recommendations of the Task Force on the Sale of Cats and Dogs from Inhumane Origins at Connecticut Pet Shops. Require pet shops to reimburse customers for veterinarian expenses incurred to treat a dog or cat that becomes ill shortly after purchase from the shop (this now will cover the purchase price of the animal and veterinary costs). Prohibit pet shop licensees from purchasing dogs or cats from a breeder who has violated U.S. Department of Agriculture animal welfare regulations in the past two years. Require the state Commissioner of Agriculture to develop a standard of care applicable to in-state dog and cat breeders by Dec. 31, 2014. 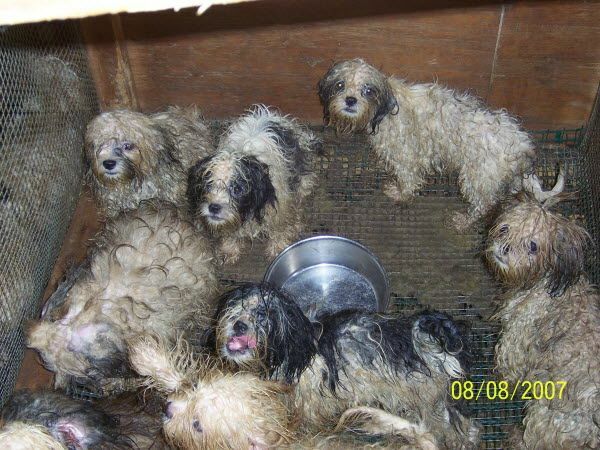 Require pet shops to post the U.S. Department of Agriculture inspection reports for breeders of any dog offered for sale. To view of the complete legislation, click here. “There is evidence that puppy mills around the country have employed practices that any reasonable person would consider inhumane,” Malloy said while signing the legislation at a ceremony at the Greenwich Animal Shelter. 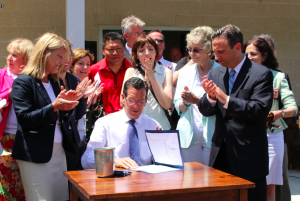 “By signing this bill into law, we are setting standards in Connecticut to ensure that animals are living in humane conditions,” Malloy said. Suffolk County is the first municipality in New York State to regulate pet dealers and the source of the puppies they offer for sale to unknowing consumers. 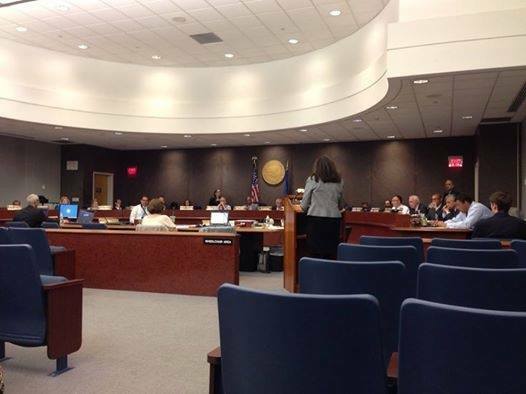 The “Puppy Mill Bill”, sponsored by Legislator Jay Schneiderman and Legislator “Doc” Spencer passed the legislature unanimously on June 3rd, 2014 in Hauppauge. The bill sets standards for cage size, how cages are stacked, and will require dealers to provide inspection reports of the breeding facilities on request as well as post publicly that that information is available. There would also be a fine up to $500 per violation. Barbara Dennihy, a local animal advocate spearheaded a movement to regulate pet dealers in Suffolk County in 2010. Along with other local animal advocates she went before Suffolk legislators asking for a ban on the sale of puppies in Suffolk County to combat puppy mill abuse. 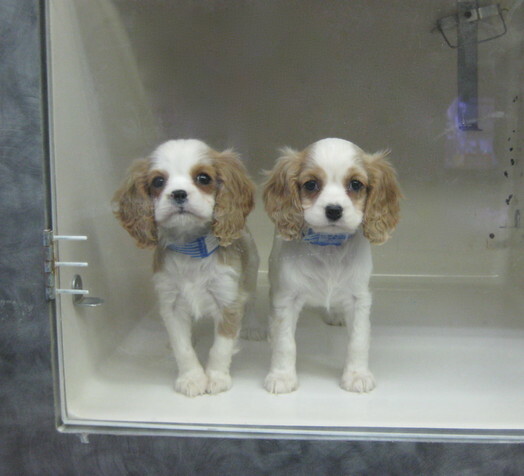 FOIL documents from New York State Agriculture Department show pet stores in Suffolk County source their puppies from horrible puppy mills some with horrible violations from the USDA against breeding dogs. Nothing could be done at that time because of an existing preemption in the NYS Agriculture law. After a 3 year long campaign by animal advocates from all over New York State to get the preemption lifted, this past January Governor Cuomo signed a bill to lift the preemption allowing local municipalities to regulate pet dealers as long as they do not pass any bill to ban the retail sale of puppies that are raised in a safe and healthy manner. Before the ink was dry Barbara contacted Legislator Schneiderman and asked him to sponsor a bill to regulate pet dealers in Suffolk County. Working with local animal advocates and Schneiderman a bill was put together to regulate pet dealers. This is a first step in holding pet stores accountable. They can no longer hide the source of the puppies they sell. The real end to this horrible business practice lies with the consumers. They need to stop buying puppies from retail stores and over the internet. My husband and I joined this effort near the tail end to help where we were able. We do not just get involved with awareness and fundraising, but on the legislation level too! My heart is full today! Ask the clerk/owner where their puppies come from? How often they get new puppies? If they allow those who purchase these puppies to contact the breeders? More often than not the responses will be vague and guarded. Continue to let them know you, as a dog lover, only shop at pet stores that hold adoption drives instead of selling puppies. And you would be thrilled to see them change their practice to hold adoption drives instead. The Humane Society also offers FREE listings to Puppy Friendly Pet Stores on their website, along with a free listing in their phone app so shoppers can find them anywhere. Did you know you can text “PUPPY” to 30644 to see puppy-friendly stores near you? Click here for more info and resources from the HSUS, including a printable “pledge” you can take into these stores. This may seem like a such a small action, but imagine if each day someone took the time to stop in these pet stores and have this “talk. Imagine if each time a family was there, looking at puppies to purchase, and overheard your conversation. Sometimes, as an individual, we can feel powerless in this fight. But your voice – when combined with legislation, legal actions, rescues, and other efforts – does make a difference. It takes a lot of steps to walk a mile. Click here to join me in supporting National Mill Dog Rescue as they rescue, rehabilitate and rehome discarded puppy mill breeding dogs.